Citrine is a controversial crystal. Most of the citrine on the market is actually heat-treated amethyst, so when you buy a citrine tumbled stone or a citrine point are you are probably buying a treated amethyst. It is not easy to recognize a genuine citrine, but it is relatively easy to see if the so-called citrine is a modified amethyst. If the color of the citrine you are looking at is a deep, burnt orange-yellow, then it is best to keep looking for more sources to find your citrine. A genuine citrine is actually of a gentle yellow color, and it is relatively rare. What Is Special About the Citrine Crystal? Citrine contains a solar quality of energy, this is why it is traditionally considered a good healing crystal for the solar plexus/third chakra issues. It can help strengthen self-esteem and a positive, vibrant flow of energy in and around one's body. Citrine is also considered helpful in improving digestion and strengthening one's physical endurance. 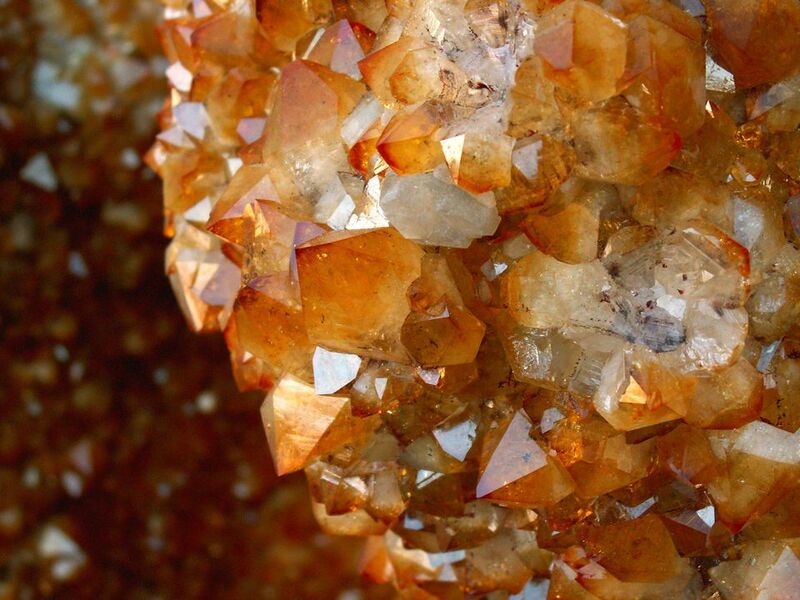 Throughout history and in many cultures citrine was known as the merchant's stone. This sure explains its associations with the energy of money. This also explains why citrine is considered a wealth attracting stone in feng shui. Where Does the Citrine Come From? Most of the genuine citrine comes from Brazil, USA, and Russia. Where Do I Place the Citrine for Good Feng Shui? Your money area is the best place for your citrine as a feng shui wealth cure. There are many traditional feng shui cures with citrine (or a crystal made to look like citrine) -- from red tassels with small citrine ​wealth vase symbols to citrine Pi Xiu (Pi Yao), crystal trees, Wu Lou (gourds), ingots and various animal carvings. Of course, as with everything feng shui related, especially modern application of the old, traditional schools based on Chinese culturally specific symbols, you have to use your own judgment. If a citrine gem tree or a Pi Yao will look strange in your place (I know it would in mine! ), then be sure to trust your feelings and go for something more appropriate for your home. Often, just several tumbled crystals in a simple bowl can bring beautiful energy to any space, of any decor and in any culture. Or, if you are lucky, you can also find pieces of raw citrine (pictured above) and display them in your home. What Form of Citrine Should I Choose? When it comes to citrine, there are not so many choices to look at. Genuine citrine clusters and towers (generators) are very rare, which leaves you with the form of tumbled (polished) rocks that is most affordable and available. You can also find many carvings in citrine - from angels to various power animals. A great way to benefit from the energy of citrine is to wear the crystal as jewelry. Because citrine works on the third chakra -- self-esteem and power issues -- a long necklace with a citrine pendant can be an excellent piece of jewelry. You can also find a variety of citrine bracelets, often combined with other beads and stones, such as Dzi beads, for example, clear quartz or hematite. What is Tiger's Eye Jade in Feng Shui? What Is Amethyst Crystal Power?